Making end-of-life decisions may seem stressful, unsettling and unnecessary if you’re in good health with a long life ahead. But, it’s important to have the necessary legal documents in place that detail how you want your assets and property divided, who is responsible for your end-of-life care, and the medical decisions you want to be made should you be unable to make them on your own. Without providing clear instructions about your estate and your end of life wishes, decisions could be made in probate court or left up to the state and may not protect your family the way you want. Probate can be a lengthy and expensive process, and your case could become a matter of public record. 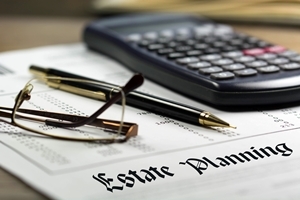 The goal of a legal estate plan is to avoid probate and distribute your assets the way you choose. Last will and testament. This is often considered a foundational document in your estate plan to state how your assets are to be divided, what happens to your property, and who will take care of any dependents you may have. Typically, a will includes how to handle guardianship, assets, and real property. If this document is used with a revocable living trust, it serves as a legal back-up that protects assets not included in the trust. An advance healthcare directive. If you’re unable to make critical decisions about your own medical care, this document specifies your end-of-life medical wishes, including life-sustaining treatments and organ donation. This is sometimes called a “living will”; however, this document should not be confused with your last will and testament. A trust. A trust is created to distribute property before you die, at your death, or after your death, and it takes effect as soon as you create it. This document allows a third party—often referred to as a trustee—to hold or be responsible for certain assets on behalf of beneficiaries. Usually, trusts avoid going through probate, so beneficiaries gain access to the assets more quickly. How will your new spouse be factored into your estate plan? If you were in a previous marriage, does your old plan still assign assets to your ex that you think should now go elsewhere? How would you like children from a previous marriage to be taken care of? Periodic updates to your documents are important. The birth of a child, the purchase or sale of property, or a significant change to other assets should automatically remind you to review your estate plan and ensure that it accurately reflects your current desires. We have outlined the common life events when an estate plan should be updated. If you want to create an estate plan, an experienced attorney can help you navigate the entire process to ensure you have the necessary legal documents. When you’re ready to talk about planning ahead, contact the Law Offices of Molly B. Kenny at (425) 460-0550. What is community property in a Washington State divorce?